In this article, I’ll discuss some of the questions we at Handsome consider when determining time, budget, and methods around user research engagements. These questions center around leanness, documentation, empathy, harm, quality, beauty, and buy-in. Leanness: How much money and time do we have to work with? If you’re pressed for time and money, here are some practical suggestions that can help conserve resources. You’d be surprised how many people will talk to you for free. If you’re not convinced, here’s an article highlighting how paying people can decrease satisfaction (known as the overjustification effect). Hiring a recruiting agency can cost $75-$500 per participant. Non-expensive ways to recruit participants include emailing friends and family, @replying on Twitter, and walking up to strangers in public places. I’ve done all of these. I also suggest getting involved in your city’s design community. Most designers are sympathetic to user research on tiny budgets and will open up their address book if you ask them nicely—even if they don’t know you that well. When you’re not paying people, it’s important to conduct interviews during times that are most convenient for your participants. Don’t be afraid to suggest meeting on weekends. I’ve found prospective participants will decline to meet before suggesting a weekend time. When going back through audio recordings, take notes directly on sticky notes instead of writing down data points from the audio recording on an Excel sheet, tagging individual cells, then going through the Excel sheet and transferring those data points to something that can be externalized and manipulated (like sticky notes). Or if you’ve already taken notes in an Excel sheet, you can directly print them on removable avery labels. It costs more, but it will save you time. Documentation: How will we keep track of what we’re learning? Documentation in research codifies what’s been learned and what’s believed to be true in a way that’s visible to the entire product team. Teams that don’t document their findings run the risk of making costly mistakes as a result of forgetting what was learned during earlier design phases. This is especially true of companies where new designers and managers are hired and don’t have the tribal knowledge of the founding team. Visibility: Is everyone on the product team forced to take note of the artifact in a way that facilitates a significant depth of processing? For one client, I posted pictures of personas on the office refrigerator. Value: Does the product team see the artifact as essential to building a great product? To communicate value, it’s sometimes worth tactfully showing a product team how a lack of understanding of users has lead to bad product decisions and how a shared understanding of users will lead to good product decisions. Evolution: Documentation should evolve as a product team’s understanding of users becomes more refined as users engage with the actual product. To keep teams accountable to evolving their documentation, I’ve found it helpful to build a checklist of reflection questions that will help teams determine whether an artifact meant to provide insight into key users should be updated. Empathy: How are we going to cultivate empathy in our design team? If empathy did not exist, we could not understand why we feel the way we do, or conceptualize something called emotion, or think rationally. Many scholars have mistakenly associated empathy with just feelings and emotions. If that were all it was, empathic consciousness would be an impossibility. Reason, then, is the process by which we order the world of feelings in order to create what psychologists call pro-social behavior and sociologists call pro-social intelligence. Empathy is the substance of this process. Image from Inside Design: Pocket. Harm: How much harm will we cause if we get the design wrong? If you’re designing something to be used by individuals where the unsuccessful execution could lead to significant emotional or physical harm, it’s wise to invest more in upfront research. This is often the case for designs in the medical, transportation, non-profit, and military spaces. ‘First do no harm’ is a good starting point for everyone, but it’s an especially good starting point for designers. We have to remember…every move, every decision; every curve we specify is multiplied—sometimes by the thousands and often by the millions. And that every one of those every has a price. Quality: What threshold of quality do we need in order for customers to experience core product benefits? Making an investment in research can often lead to a higher quality minimum viable product (MVP). Some companies assert the first product should always lack in quality (otherwise you’re not moving fast enough). However, this lack of quality is detrimental if the users cannot experience any benefit because your team will learn very little and your users will be irritated. Beauty: How beautiful do our research deliverables need to be? Our goal is not to create a deliverable; it’s to change something in the world—to create an outcome. 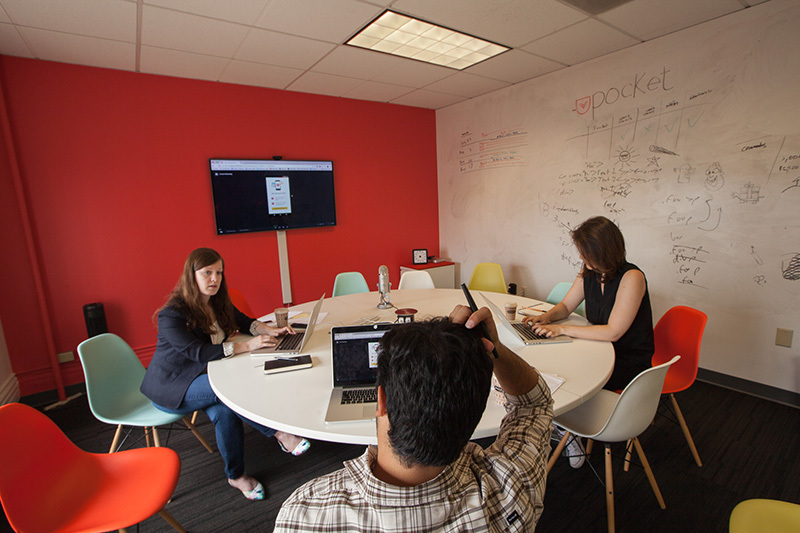 Buy in: How many people on the product team will have regular intentional contact with users? 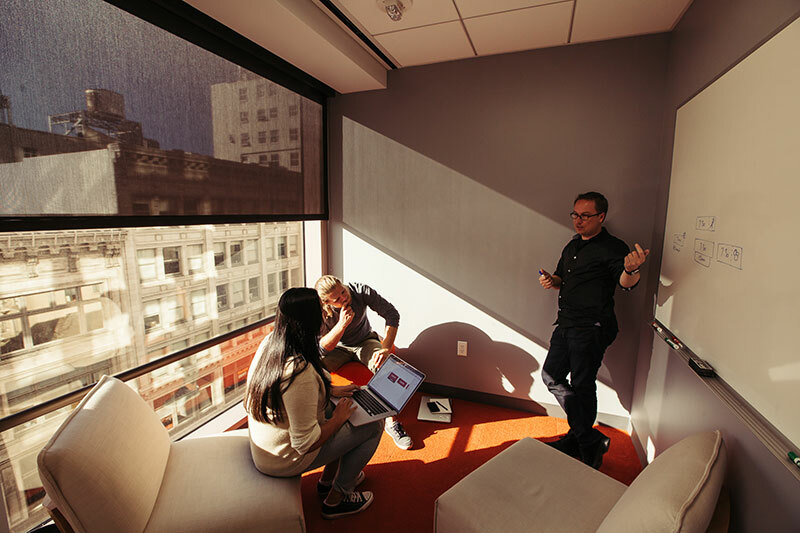 The more people on your product team who regularly connect with actual users, the less you need to invest in explaining the value of research or the validity of research insights. With everyone having contact with users, it’s easier to develop a shared understanding of the problem space and thus efficiently make judgments around the most appropriate user-focused design. I used the words “intentional contact” intentionally. It’s critical the team is aligned on research goals and to collectively commit to a rigor around how those insights are gathered and synthesized. Sometimes individuals and teams can fall into the trap of only doing “research” to prove they’re right. Image from Inside Design: OpenTable. In summary, research is messy yet critical. It needs to be executed with intention but does not need to be an unwieldy investment. It needs to be appropriately documented but not excessively ornate. And it needs to be something the entire product team commits to conducting regularly. Bullets were distilled from both personal experience and the “Competing Forces” section in the 7th chapter of Don Norman’s The Design of Everyday Things: Revised and Expanded Edition. Wright, Peter, and John McCarthy. “Empathy and experience in HCI.”Proceedings of the SIGCHI Conference on Human Factors in Computing Systems. ACM, 2008. Kouprie, Merlijn, and Froukje Sleeswijk Visser. “A framework for empathy in design: stepping into and out of the user’s life.” Journal of Engineering Design 20.5 (2009): 437-448. 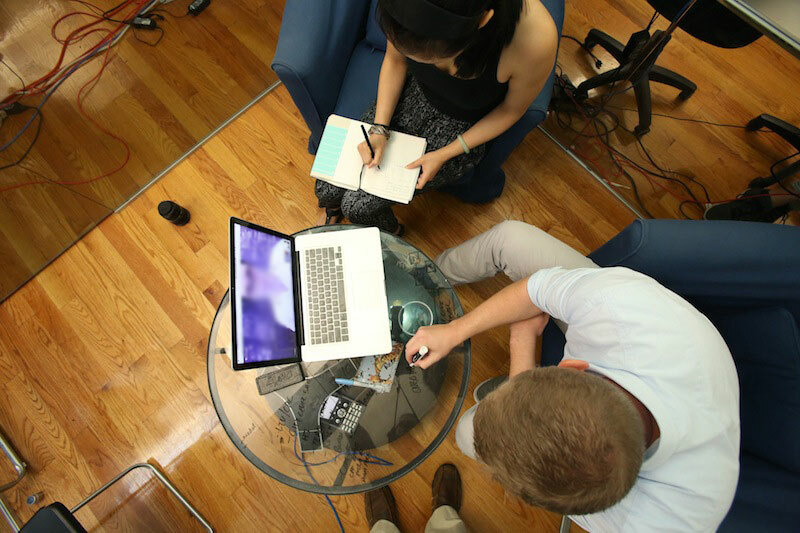 Jonathan is the Experience Design Director at Thinktiv, a strategy and innovation firm in Austin, TX, where he manages their ethnographic research and interaction design practices. He has worked with teams ranging from seed-round start-ups to Fortune 100 companies to design and ship successful businesses, products, and services. Jonathan is also an instructor at the Austin Center for Design where he teaches courses focused on Design Research in the context of large-scale social and humanitarian issues.